The GE Quiet Power 7 is a dishwasher that has a hidden vent and sound dampening components to reduce noise from the machine during use. The dishwasher also features a detergent dispenser that can hold up to one bottle of liquid detergent and automatically dispenses it as needed, as well as single rack wash options, an angled cup rack, stainless steel tub, electronic control panel and six different wash levels. If maintenance or repair tasks are completed on the Quiet Power 7 dishwasher, it may need to be reset, which only takes a few steps. Press "Start/Reset" once if the dishwasher is currently in progress or has previously been set for a cycle. Press "Start/Reset" one more time. This will reset the dishwasher unit. If the "Start/Reset" button was not previously pressed to stop a cycle or cancel a cycle, press the button twice to initiate the reset. Wait for the dishwasher to automatically reset, drain all water from the tub and return to the main programming mode. 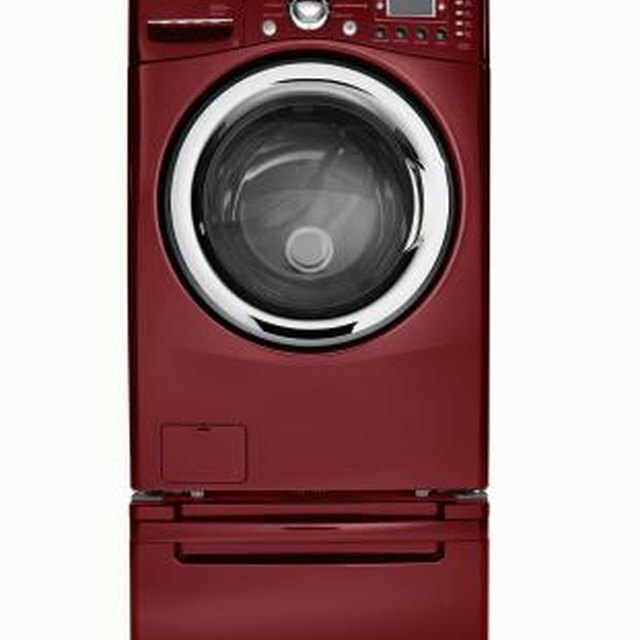 Choose a new wash selection and press "Start/Reset" once to begin the wash cycle.